Alan's MX-5 is a 2013 2.0 Sport Tech Nav coupe model finished in Stormy Blue Mica. 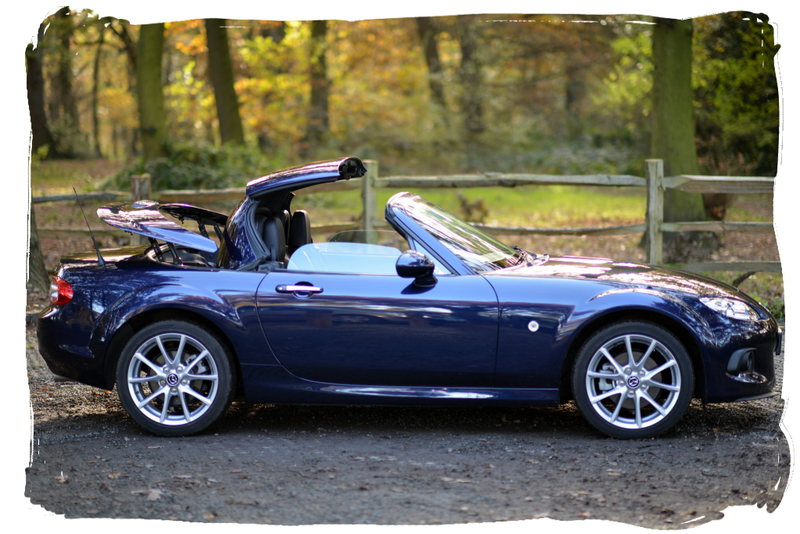 Having previously owned three first generation MX-5s over the years, Alan felt it was time to search for an upgrade. 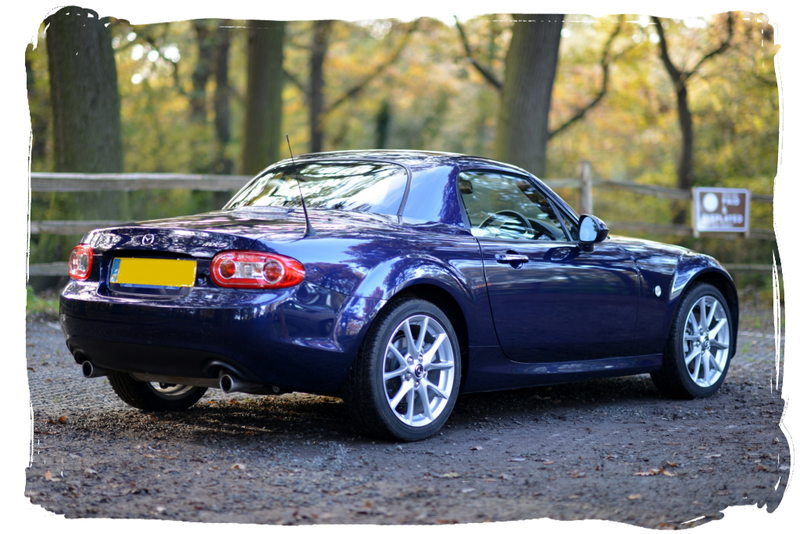 Wanting to combine the pleasure and fun of a weekend toy with daily commuting duties, the decision was made to go for an NC model. 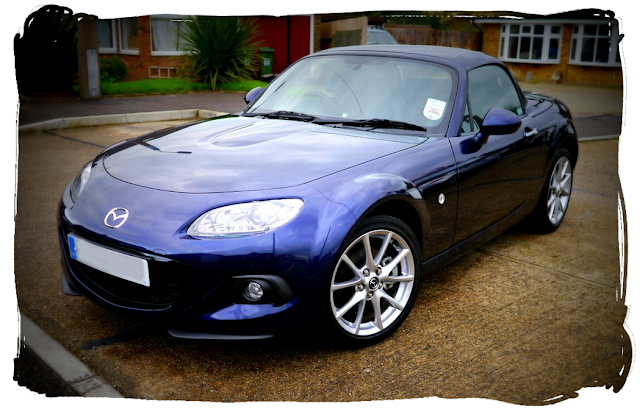 Alan chose the MX-5 coupe as it combines the additional security and comfort that a hardtop provides with the convenience of top-down motoring at the touch of a button. Choosing a six month old car over a brand new one was also a wise decision when looking at the purchase price. 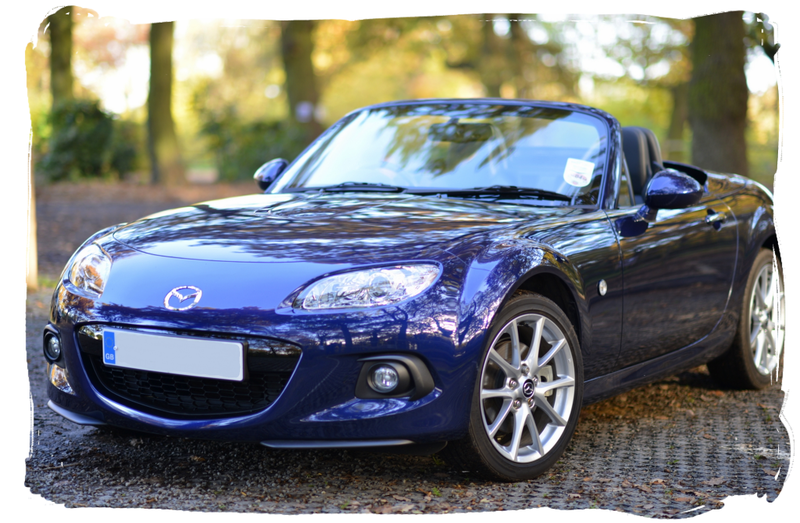 The car is an NC3 model which is the latest of the 3rd generation cars and benefits from a second facelift with revised front end. This bumper features newly designed front foglight mouldings and a small air splitter in each corner. The Nav specification includes the six speed gearbox, limited slip differential, Bilstein suspension, and heated leather seats. 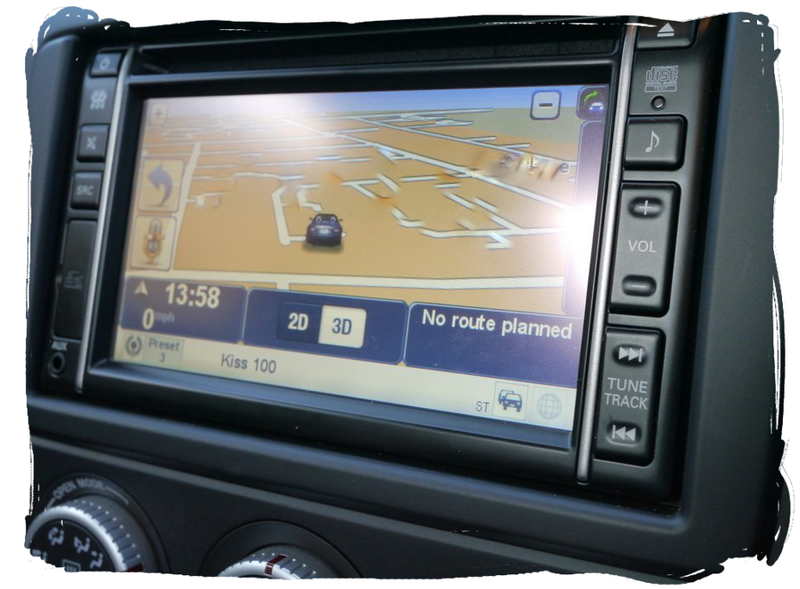 An integrated touchscreen TomTom satellite navigation unit in place of the standard stereo is included as standard equipment. You can see more on this unit by clicking here. "To me, the car is everything I loved about the earlier generations, but more refined, more powerful, and the retractable hardtop is simply amazing." Before the UK winter takes hold, Alan plans to protect the car's underside with a thorough treatment of Dinitrol rust prevention products. This is a messy job but will pay dividends in years to come. As for modifications, the car remains standard for now with the only addition being Mazda's iPod connection cable which allows the car to control an iPod and playback through the stereo. Future plans include fitting the smartTOP device which gives programmable control of the retractable hardtop, allowing the driver to raise and lower the roof while the car is moving. After that Alan says he wants to fit a Cobra sports exhaust to give the car more of a growl under acceleration, and then look at front number plate options.